Never has there been a more natural way of making money than in the 21st century. You can easily become your own boss. 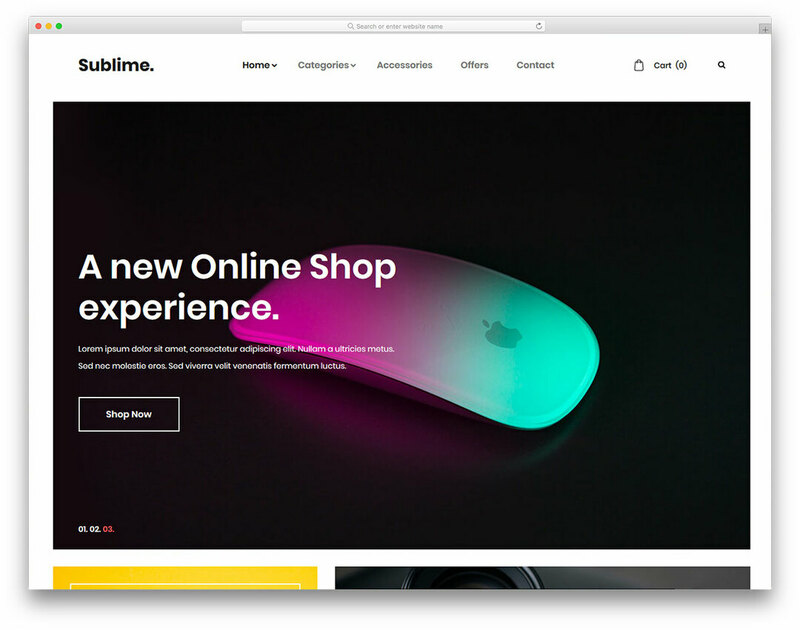 And with Sublime, you’ll be able to open up your own online store effortlessly. No more worrying about changing terms or rules. You’re your own manager. Gadget, service online goodies or any other item for sale, this template will help you sell! Made by pros who know how to sell, Sublime is filled with features who will help you out with earning that cash. Drop down navigation, newsletters, social media, and a powerful cart. Everything you need in one place. A seamless experience, for your online shoppers.